The Siraya National Scenic Area is one of the 13 national scenic areas in Taiwan. Established in 2005, it is Taiwan’s youngest scenic area. It includes 12 townships in the city of Tainan and 1 township in Chiayi County. It is found near the plain of Jianan and the western mountains. You will find many rivers and streams traversing this scenic area. Aside from these, you will see waterfalls and springs and a lot of interesting geological structures. The scenic area includes five recreational systems that tourists often frequent: Cengwen, Hutoupi, Zoujhen, Wushantou, and Guanzihling. The scenic area, which is one of the major water sources for different parts of Taiwan, also covers five reservoirs, namely, Cengwen, Hutoupi, Jianshanpi, Wushantou, and Baihe. 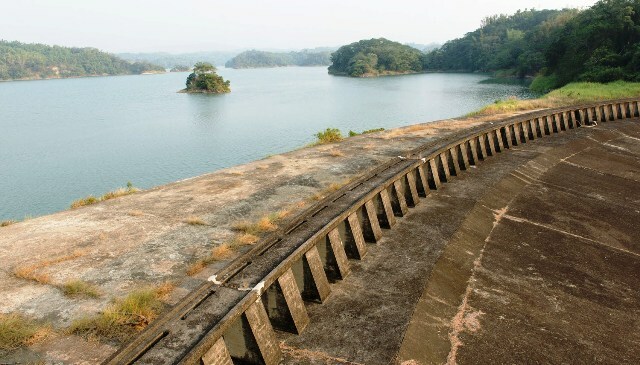 The Wushantou Reservoir, when it was constructed, boasted of having the world’s third biggest hydroengineering system. Because of the scenic area’s unique landscapes and contribution to water and nature conservation, it has attracted many scientists from all over the world. The Siraya National Scenic Area got its name from the ethnic group called Siraya. They used to inhabit many parts of southern Taiwan up to the 1700s. They hunted and fished and planted vegetables and rice for food. The Siraya worshiped nature and the spirits of their ancestors. Eventually, they intermarried wth the Han Chinese, giving way to changes in their culture and practices. With the help of some groups, their culture is now being preserved and protected. The scenic area was named after them as a way to recognize their existence and significance in Taiwanese heritage. The scenic area does not exist merely to showcase nature; it is also an important farming area for fruits like water chestnut and mango. Water chestnuts are abundant in the fall while mangoes are harvested between the months of April and September. The place is also known for its coffee bean produce, particulary those that are from Dongshan. Roughly 100 hectares of land in Dongshan Township are used as plantation for Arabica coffee. There are more than 20 cafes dotting Dongshan, and some tourists love to go here simply to relish the relaxing natural surroundings while sipping a good cup of coffee. Coffee is not the only specialty produce in the Siraya National Scenic Area. By government initiative, each township in the region was encouraged to promote its own specialty product. This does not only enhance people’s livelihood in the area; it also helps boost tourism in each of the scenic area’s 15 townships. The Siraya National Scenic Area has many beautiful places that you can go to. One of these is the Caoshan Moon World. This one of a kind terrain found in Zuozhen District is a barren land comprised mostly of shale and sandstone. The ground is hard but when the rain falls upon it, it becomes muddy and slippery. You can also go to the Black Hot Springs in Guanziling, which lets out hot, dark colored water. If you are not into hiking, you can try the biking trails that will take you to various places in the scenic area.